Is there any fun carrying a dead phone or tablet around? We bet there isn’t. Nobody enjoys carrying a dead phone around. Especially when you are in a place where a power outlet isn’t easily accessible. Luckily, the sun, unlike electricity is everywhere, at least during the day. Imagine having a solar-powered charger that can power and charge your smartphone and other gadgets regardless of your location? Absolutely fantastic! Not only that, we will show you the best solar phone chargers then we’ll review each device one by one. 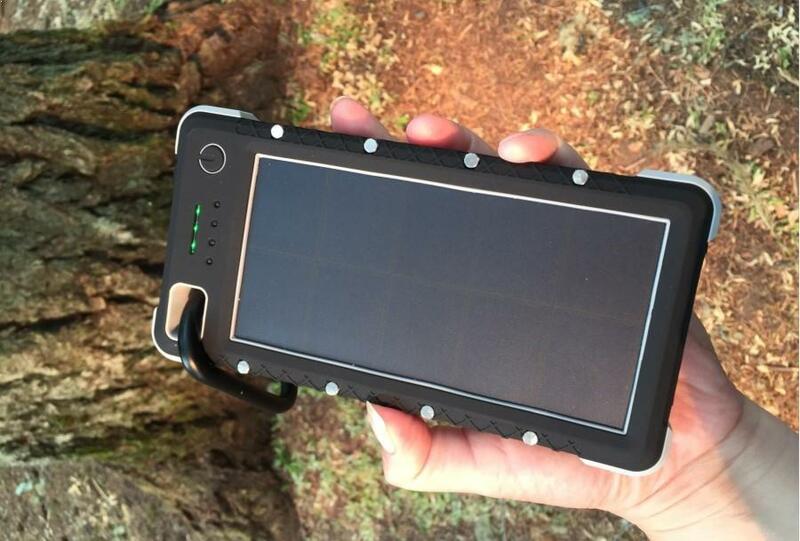 Whether you are out in the woods camping or just need to quickly charge your phone while in the park having lunch, a solar-powered phone charger is an ideal device to have with you always. The device harnesses its power directly from the sun, stores the power, and then charges your gadgets when there is a power outage or you just suddenly run out of power. Due to the heavy power consumption of smartphones nowadays, solar phone chargers are becoming more popular every day. However, like you, most people are new to buying these solar devices and it is quite difficult to choose the right one. Therefore, we have done all the dirty job for you by carrying out comprehensive research about these devices. 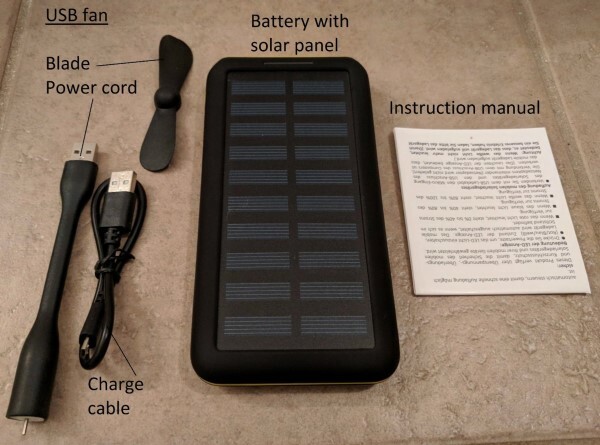 We have come up with a buying guide that will guide you when you are ready to purchase a solar charger for your smartphone. Are you ready to travel into the world of solar phone chargers? Let’s go! Most people are usually concerned only about the battery capacity when buying a solar phone charger. There are other things, however, that constitute to a top-quality phone charger. If you’re willing to purchase a solar phone charger that will stand the test of time, remember to consider the following. This is by far the most important and first consideration you should make when buying a solar cellphone charger. The amp rating is the capacity or strength of a solar charger or any battery for that matter. The higher the mAh figure, the more powerful the solar charger is, and the more power it will be able to give to your phone before its dead. Try to buy a solar charger with a mAh figure that doubles your phone’s battery at least. Most of the recent smartphones come with a battery with about 3000mAh. Therefore, you should find a solar phone charger with 10,000 mAh at least. Another important consideration you must make is the charging efficiency of the solar-powered phone chargers you’re intending to buy. You should go for a solar charger that will charge your phone as quickly as possible. You don’t have to fear to overload your smartphone since it features an in-built regulator. This regulator prevents excessive power from being pumped into the battery as it can fry it. The size and weight is a complicated consideration. Nobody would like to be carrying an excessively heavy solar phone charger around. However, the strength of a solar charger is also determined by how heavy it is. The size and weight of solar chargers increase with their capacity. Even though a 30,000 mAh unit may appear like a great choice, it may just be too large or heavy for your pocket. So, your choice will be determined by the purpose of the solar charger in the end. If you are looking for a solar charger suitable for a picnic or a music festival, go for a pocket-sized unit with 6,000 to 10,000 mAh at least. If you’re looking for a model suitable for camping and hiking, however, opt for larger models. Lastly, check for the warranty of the solar phone charger you are looking to buy. The level of confidence a maker has in his product is usually shown by the warranty that comes with the product. Ergo, if you are looking for a durable and top-quality solar charger that will last you for many years, ensure it has a long warranty. All solar-powered phone chargers provide the basic function of storing power and charging devices. However, the way they perform this function is quite different. 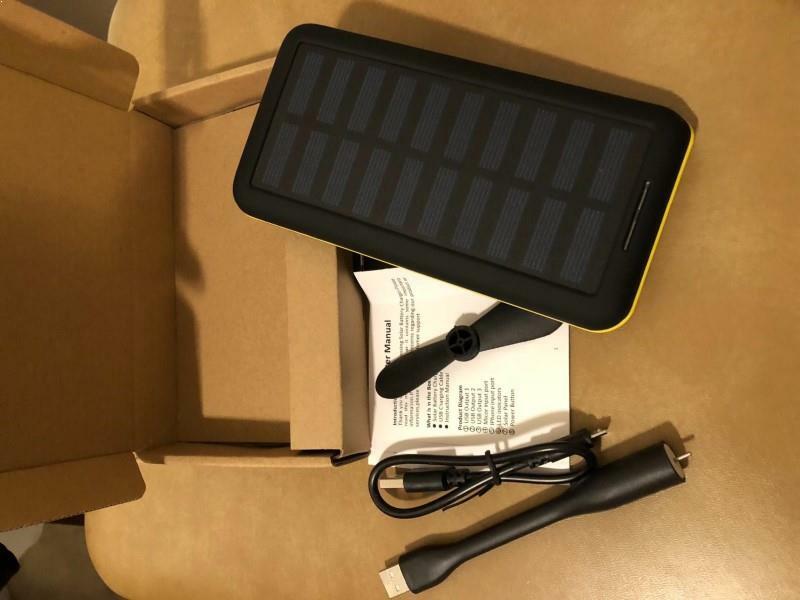 They vary in performance, features, and durability, and if you are looking for the best solar phone chargers, check below. Made with the outdoorsmen in mind, this incredible outdoor solar charger by RAVPower is a beast. It is widely considered as one of the best solar phone chargers on the market. With a battery capacity of 25,000 mAh, this solar charger is powerful enough to charge nearly every device you want to charge. Furthermore, the solar charger from RAVPower is very durable. With its dustproof, waterproof, and shockproof construction, it is the ideal device for the outdoors. Besides, it features a LED light that works in SOS, probe, and strong mode. You can also affix the battery with an included hanging ring. If you are looking for a solar phone charger with larger capacity, you shouldn’t look past the Plochy 24000 mAh. Apart from solar, you can also charge this excellent solar charger via USB. This unit is really magnificent, and everything about it is top-notch. Highly hyped for its incredible versatility, this unit comes with 3 USB ports. Each USB port delivers as much as 2.4 A. 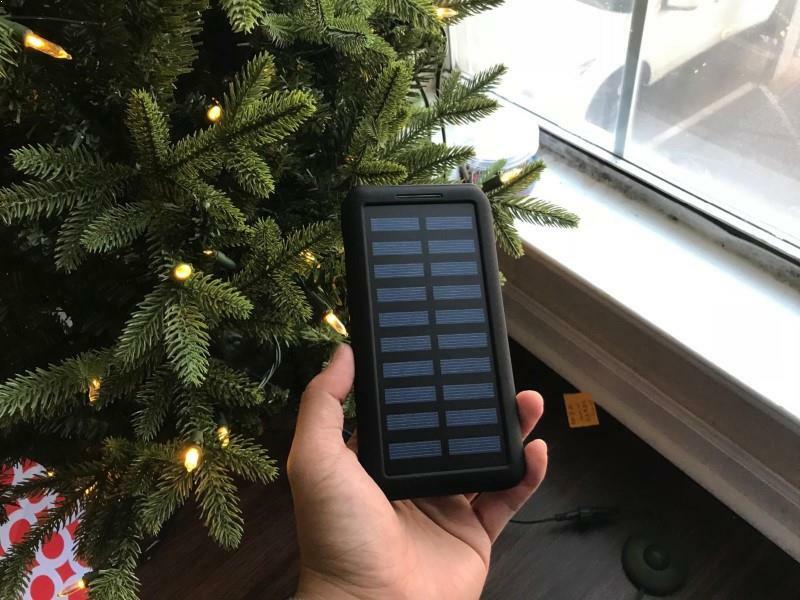 The RoamProof S0S20K solar charger generates an enormous 20,000 charge that is capable of powering several devices at a time. Speaking in general, the RoamProof solar charger is perfect for outdoor activities. You can charge this unit in two ways, solar power and through USB. This unit is very powerful. With its 20,000 mAh monstrous battery, it is sure to charge your phone multiple times. 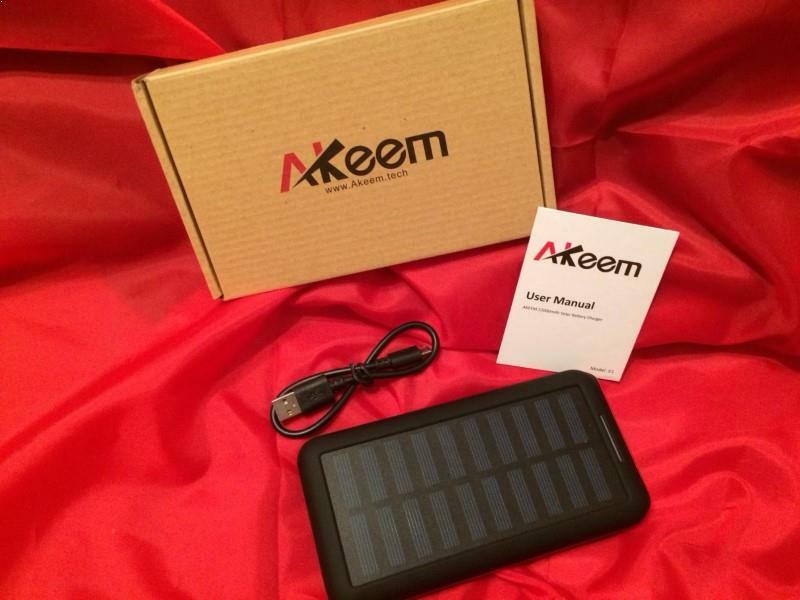 Brought to you by AKEEM, the AKEEM 22,000mAh is an amazing solar charger with an external battery. Featuring the most recent solar charging tech and a twin input port, this product is made to produce exceptional performance each time you use it. This solar charger comes with a compact solar panel alongside an advanced lighting tech. This would enable you to charge multiple devices at once. Supporting an immense 22,000mAh battery, the device gives maximum output for the 3 USB ports which produce incredible output. Besides, the solar charger supports fast charging, and you can also charge it via USB, apart from solar. In less than a day, this unit will be fully charged. If you’re using a 2.1 amp. charger to recharge it, it will take around 7 to 8 hours before it can be fully charged. WOOYHN can’t be considered as a leading brand in the manufacturing of solar techs, but they obviously came through on this. The WOOYHN 24,000mAh is a powerful cell phone charger that can also be recharged with solar energy. With its twin input, it is compatible with both Android and Apple cords. In addition, it features 3 USB ports for output, which means it can charge up to 3 devices at the same time at a very high charging speed. This is a device every outdoorsman must own as it is compatible with every kind of smartphone, including Android and iOS devices. Due to the heavy power consumption of the smartphones being made nowadays, owning a solar charger has become a major essential of life for every smartphone owner. Therefore, the invention of solar phone charger is a major cause of relief for avid travelers and outdoors enthusiasts. After all, they don’t have to worry about their devices running out of power anymore. In the end, we recommend the RAVPower 25,000 mAh Solar charger (Amazon Link) as it is an outstanding device in all ramifications. 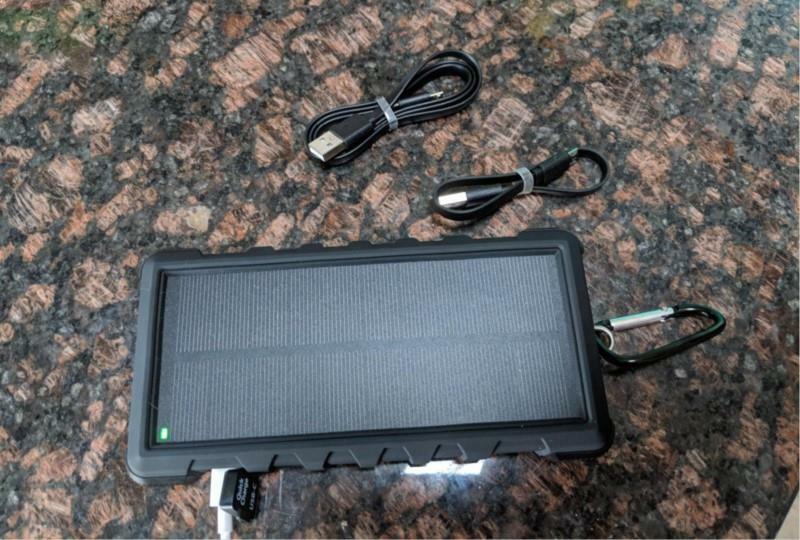 Waterproof, dustproof, shockproof, and great battery capacity, this device has nearly everything you can require from a solar-powered phone charger. However, all our picks are great and any outdoorsman will enjoy owning any of them.